Purchase an unlock code to unlock the Principal Place of Residence (PPOR) property and the National Rental Affordability Scheme (NRAS) property calculations for less than $10.00. The Professional Investment Property Calculator has the ability to estimate both PPOR and NRAS property. You only need to purchase a PPOR & NRAS Unlock Code to unlock these functions and it only costs you $9.99 for your personal use. For commercial use, you only need to pay $19.99 to get the unlock code. Alternatively, you can purchase the Professional Package which includes the Professional Investment Property Calculator and the PPOR & NRAS Unlock Code if you haven't purchase the Professional Investment Property Calculator. Simply choose "Professional Package" from the drop-down list in the Purchase section on the right and then click the "Buy Now" button. After you receive the PPOR & NRAS Unlock Code, you should follow the following steps to unlock the ability to estimate PPOR and NRAS property. (5) Now you should be able to choose either "PPOR Property" or "NRAS Investment Property" from the Property Purpose drop-down menu (next to Cell D6). The National Rental Affordability Scheme is a long term commitment by the Australian Government to invest in affordable rental housing. The Scheme offers annual Incentives for ten years on the condition that throughout the ten year period the dwelling is rented at 20 per cent below the market rent to eligible low and moderate income households. More information about National Rental Affordability Scheme. 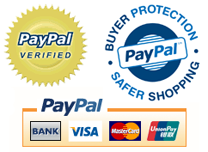 Any item you purchase will be sent to you via email once you make the payment. Please do check your junk mail before contacting me.